Are you familiar with the old nudge feature that used to come on some of the classic fruit machines. Well, Temple of Nudges™ is all about the nudge feature and of course other game features that are very popular amoung Netent video slots enthusiasts. Temple of Nudges™ is a 5 reel, 3 row with 243 ways to win! The design of this video slot, including symbols are very Aztec like and somehow it can remind you of the popular video slot Gonzo’s Quest™ also produced by Netent a few years back! As stated the main feature of Temple of Nudges™ video slot is the nudge feature, which is triggered on any winning combination, by moving all the 5 reels one step down until no further winning combinations are formed. There is also a Re-Spin Feature that will Re-Spin the odd symbols that do not form part of the winning combination. The Re-Spin is only performed once unless another Re-Spin symbol lands on the reels. The highest paying symbol in Temple of Nudges™ is the cougar, which is a highly regarded animal in South America! The other symbols which look like they’re made of stones are the Monkey, Sloth, Bird, Golden Armadillo, Snake and an Aztec type of temple. In addition, also note that the symbols are in a stacked format which may increase the chance to get a great winning combination overall. 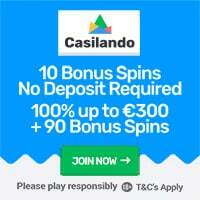 Players can choose to bet from as little as €0.25 up to a maximumbet of €250 or equivalent. The return to player percentage of Temple of Nudges™ is set to 96.03%, but the maximum possible win is not yet clear, but we will make sure to update this slot review once the information becomes available on reliable sources. Temple of Nudges™ was released by Netent on the 21st of March 2019. Although this video slot production is very basic, we are confident that it will be welcomed very well with online casino slot lovers that have at heart Aztec themed based video slot. 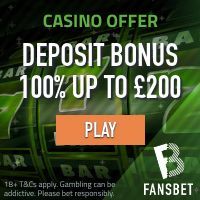 Featured: Get 20 No Deposit Spins on Gonzo’s Quest! 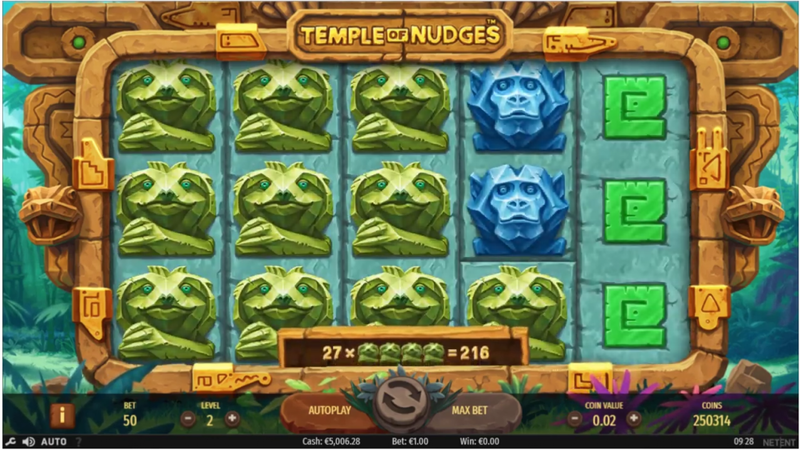 Footage of Temple of Nudges™ video slot!